Many businesses are experiencing pressure from both outside and within their organizations to become more eco-friendly. What’s more there are federally funded incentives in place to convert vehicles to alternative fuels, providing both a financial and ethical reasons to switch. This session will address questions and concerns industry professionals have around the conversion of their fleets from diesel fuels to alternative fuels. 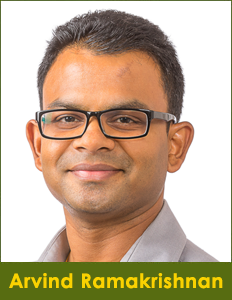 Arvind Ramakrishnan, Senior Manager at FortisBC Energy Inc, will share his experience with FortisBC’s program converting over 750 heavy-duty vehicles and marine vessels to natural gas, resulting in emissions reductions of over 78,000 tonnes annually. This session will explain the federal incentives and details of a conversion project, enabling you to make informed decisions around vehicle conversion and to make or discuss such a project with stakeholders in your organization. The session includes a Q&A period. 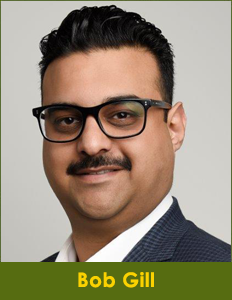 Senior Manager, FortisBC Energy Inc.
Arvind Ramakrishnan spent over 8 years with FortisBC in areas such as Forecasting, Resource planning, Energy efficiency and conversation, managing and taking the Biomethane program to the market, developing and implementing the natural gas for transportation incentive program and more recently leading FortisBC Sales and Business Development Teams to drive additional growth in CNG/LNG business for domestic and regional markets. Bob Gill was appointed to Automotive Fleet Manager for UPS Canada in March 2018. He is responsible for automotive operations in Western Canada, leading a team of certified automotive and heavy duty technicians and overseeing the safe operation, repair and maintenance of the UPS package, tractor, trailer and ground support equipment (GSE) fleet. Bob has been involved in the implementation of CNG powered vehicles in the UPS tractor fleet and overseeing the propane conversions of the UPS package fleet in BC. He began his career with UPS as a mechanic in 2008, until he was promoted to BC Automotive Fleet Supervisor in 2011. Bob holds a Canadian Red Seal certification in Automotive Service from the Kwantlen Polytechnic University. He also holds multiple qualifications and certifications in Automotive and Commercial Transport.